Brand New Template for the HubSpot COS! As one of the first HubSpot Certified COS Design teams, we take pride in our COS work. Especially with January sneaking up on us, more and more HubSpot customers are looking at migrating their site to the COS once they can keep analytic continuity. Of course, we aren't going to slow down and wait for January to start filling up the Template Marketplace with awesome work! 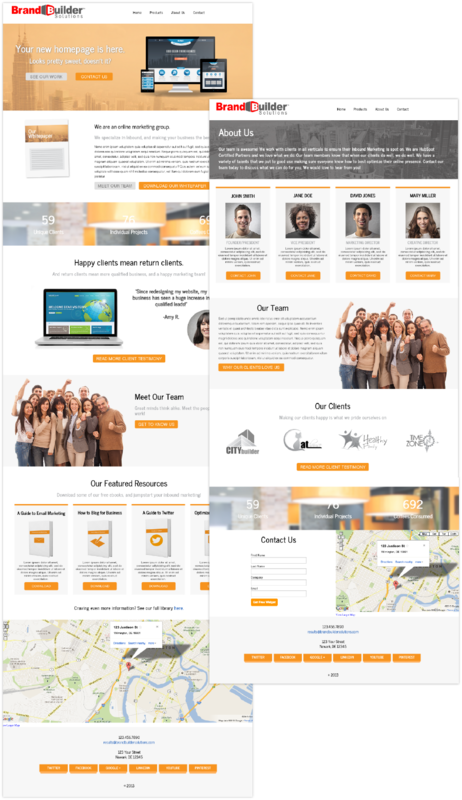 This week, Brand Builder Solutions released a new set of site templates, which include a Homepage with parallax effect, an About Us page, a Products/Services page, and an Interior Page. Plus, we've created an incredibly clean looking Blog template as well! We've called this pack "Inbound Responsive II" because it's a beautifully responsive site that will seriously optimize your Inbound strategy. After all, it's based on HubSpot best practices! Check out our latest template live preview right here. Seriously, you have to see it to believe it. Who would have guessed that elegant looking site was built completely on the COS? Ready to migrate your site? Make sure you check our blog post about what to know before moving your CMS site to the new COS. Think you're ready to go? Contact us today to chat with our talented team of inbound experts and find out what we can do to improve your marketing on the COS!